Valparaiso Law maintains top legal writing and research programs. You will graduate knowing how to research, write and advocate. 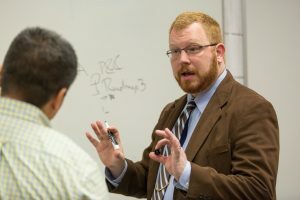 Our curriculum (launched in 2013), carefully integrates three years of required writing as well as three semesters of required research – two separate programs that provide exceptional training in practical skills, generate remarkable student satisfaction, and ignite student passion for the practice of law. 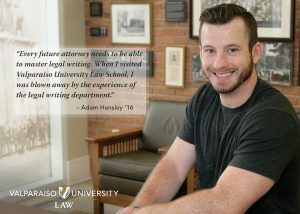 At Valparaiso Law, rigorous training in legal writing begins in the first year and extends into the second and third years. This includes not just traditional seminars but courses on appellate advocacy, legal drafting, legal journalism, and subject-matter specific advanced legal writing and drafting courses. 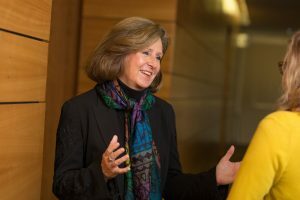 Valparaiso University Law graduates have a reputation for strong legal writing and research skills, and our new curriculum has embraced and enhanced that strength. First Year: Building on the skills learned in Foundations of Legal Analysis, Praxis I–Client Interviewing, and Praxis II–Professional Business Communication in the fall, the spring semester Legal Writing I focuses on communicating legal analysis through the process of drafting both objective and persuasive documents. Second-year: Students take two, seven-week legal writing courses during the fall semester that focus on advanced writing and research skills and refine the writing skills learned in the first year. Course choices include: Appellate Advocacy (civil or criminal), Introduction to Drafting, Legal Journalism for those who blog on Valparaiso’s student blog, Appellate Advocacy for members of Moot Court Society and International Moot Court, and Law Review for notewriters. Third-year: The third-year writing requirement is designed to be a capstone to students’ legal education. This capstone affords the opportunity to work closely with a faculty member in a substantive area of interest to the students. Effective legal communication is fundamental to successful law practice. Valparaiso Law’s curriculum is designed to go beyond traditional legal writing to explore the full range of legal communications from articulating legal concepts to writing in specialized legal fields. Valpo has truly restructured itself to make its program responsive to the changing realities of the legal market. 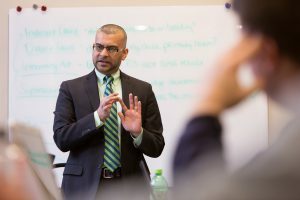 Professor Kutty’s research and extensive writing focuses on human rights, discrimination, and community advocacy. I am very pleased to return to the law school after a career in university strategy and communications. The art and science of compelling legal writing match essential communication principles, namely, to inform and influence an audience.